Do you know someone who could use some encouragement? Perhaps that someone is you. 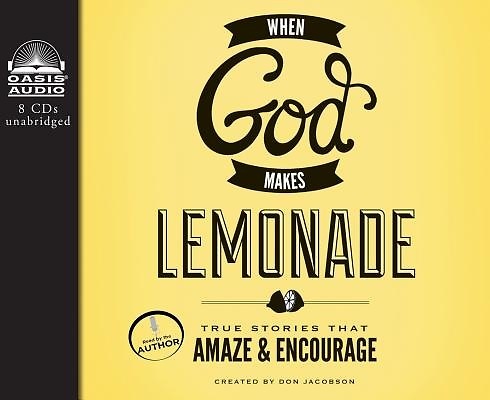 When God Makes Lemonade comes from the lives of everyday folk -- a collection of stories about people like you who have discovered unexpected sweetness in the midst of sour circumstances. Some of these real-life stories are laugh-out-loud funny, others are sobering, and more than a few will have you reaching for a tissue. But these true stories all have one thing in common: hope. There is no question; life will sometimes give you lemons: out-of-your-control issues of health, employment, and relationships, circumstances that are truly sour -- you wouldn't wish them on anyone. But when those lemons become lemonade, it is as refreshing as an ice-cold drink on a hot summer day. 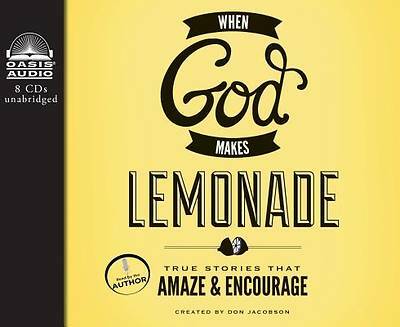 When in life "stuff happens," know that Lemonade Happens(TM) too Be encouraged and inspired . . . When God Makes Lemonade.